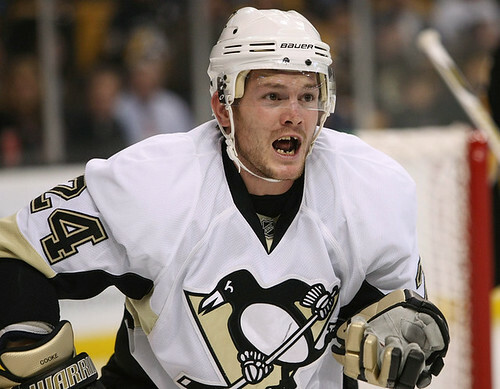 Word out of Pittsburgh is that the Penguins have re-signed Matt Cooke to a three year deal worth less than $2 million dollars. It is now being reported on mainstream sites like the Trib, but props should go to Pens Universe because they scooped EVERYONE on this. This is a really good signing. Cooke has emerged as a leader on this team, and has been very successful on the ice. He is a Blysma type player, and it shows. Cooke responded very well to the responsibility Blysma put on his lap and this deal shows how happy he is here. Shero acquiesced on the years and I'm assuming Cooke in turn went down on yearly dollars. Cooke gets a raise, we keep an important role player and an important member of our locker room.